Jim ask me for a peek into the “secret” world of Contributor’s Corner last winter, so I offered to let him take a look around and put the Going Private Transactions List to work if he would write about his experience. I was kind of taking a risk in doing this, but I was pretty confident that Jim would discover the tremendous value behind the curtain of Fat Pitch Financials Contributor’s Corner. Jim put the Going Private Transactions List to work and picked Cap Rock Energy Corporation to invest some of his hard earned money. I just ran the math on Jim’s investment and confirmed that he made a 6 percent gain on his $4,268.56 investment before expenses in just 201 days. That comes out to an average annualized rate of return of 10.9 percent. To compare that to your savings account rate, I calculated that the APY of Jim’s transaction came out to 11.1 percent. That’s a very nice rate of return for this low risk investment. As Jim pointed out, you can view my public real money portfolio and review my past investment record with special situation stock opportunities. 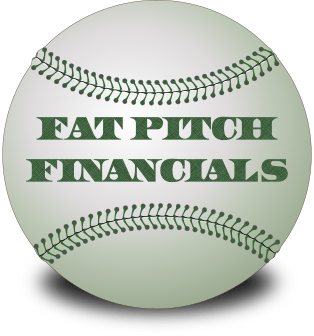 Better yet, you should consider supporting Fat Pitch Financials and gain access to all the special situation opportunities that Fat Pitch Financials Contributor’s Corner has to offer, including the Going Private Transactions List, odd-lot tender offers, mergers, and spinoff opportunities.